Wanna Cut Your Jail Time? Donate A Kidney! 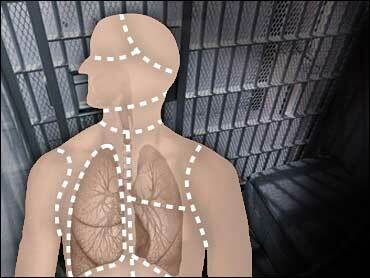 Inmates in South Carolina could soon find that a kidney is worth 180 days. Lawmakers are considering legislation that would allow prisoners to donate organs or bone marrow in exchange for time off their sentences. A state Senate panel gave the nod to an inmate organ and tissue donation program Thursday; debate was postponed on whether the incentive could be added because legislators worried it may not be allowed under federal law. "People are dying. I think it's imperative that we go all out and see what we can do," said the bills' chief sponsor, Sen. Ralph Anderson, D-Greenville. "I would like to see us get enough donors that people are no longer dying." The measure approved by the Senate Corrections and Penology Subcommittee would set up a volunteer organ and tissue donor program in the state Corrections Department to teach inmates about the procedures and the need for donors. The incentive bill on which lawmakers want legal advice would shave up to 180 days off a prison sentence for a donation. South Carolina advocates for organ donations said the incentive policy would be the only one of its kind in the nation. Federal law makes it illegal to give organ donors "valuable consideration." Lawmakers want to know whether the term could apply to time off of prison sentences. "We want to make this work, we really do," said Sen. John Hawkins, R-Spartanburg. "But I want to make sure no one goes to jail for good intentions." Mary Jo Cagle, the chief medical officer of Bon Secours St. Francis Health System in Greenville, urged senators to find an allowable incentive. She said the two-bill package offers "the opportunity for a unique kind of social justice." "We have a huge need for organs and bone marrow," Cagle said. But Melissa Blevins, executive director of Donate Life South Carolina, said any incentive would break the law and the principle behind donations. "It really muddies the water about motive. We want to keep it a clearly altruistic act," she said. Under the proposals, money for medical procedures and any prison guard overtime pay would be paid by the donor recipient and charitable groups. The state would also be able to decide which inmates are permitted to donate. Corrections Department Director Jon Ozmint said he believe inmates would donate even without the incentive. "There are long-term inmates who would give if they knew a child was dying," he said. "They're lifers. They know they're going to die in prison." In South Carolina, 636 people are on a waiting list for organ donations. Last year, 291 people received organ transplants — 90 percent of them from dead donors. About 50 people awaiting transplants die each year, Blevins said.